Kirstenbosch Botanical Gardens. Looking for a 5 star Table Mountain adventure? Kirstenbosch Gardens hike Via Skeleton Gorge and Nursery Ravine is an adventure like none other. Get ready to climb steep ladders, scale huge waterfalls and enjoy the untouched and hidden nature that a Table Mountain Kirstenbosch Gardens guided hike has to offer. Expect to take unreal photographs of your guided hiking journey up Table Mountain via two different routes, Skeleton Gorge and Nursery Ravine trails; there is even a secret at the top of Skeleton Gorge hike on Table Mountain. Really! 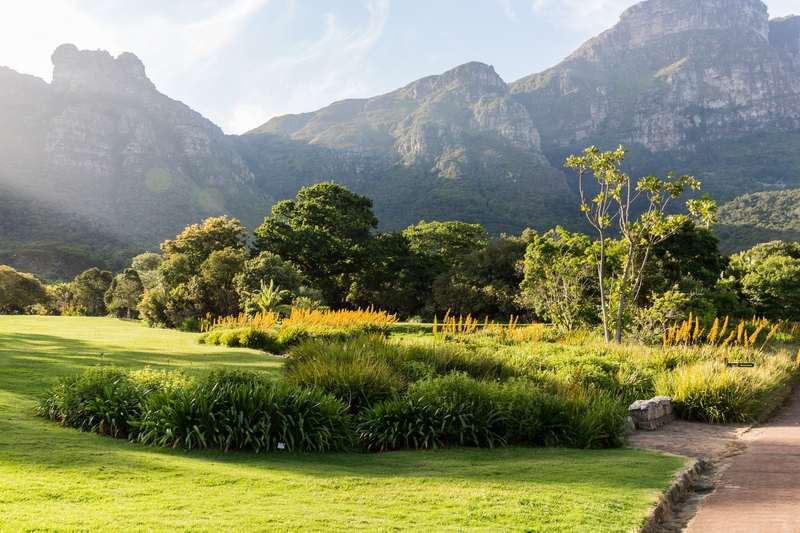 If you ask a local South African, “Which is the most beautiful public garden in the world?”, many would agree that Kirstenbosch Botanical Gardens comes in the top 10. Kirstenbosch Botanical Gardens has an annual count of more than one million visitors, for a good reason. A Skeleton Gorge hike up Kirstenbosch and down Nursery Ravine may be just right for you if you are looking for a real guided Kirstenbosch Garden hike and Table Mountain hike adventure.